Mirror with a Liquid Glass Duo Dandelion in White. Design and hand finished in the UK. With two basic colours like this piece we can almost guarantee it will suit your home. 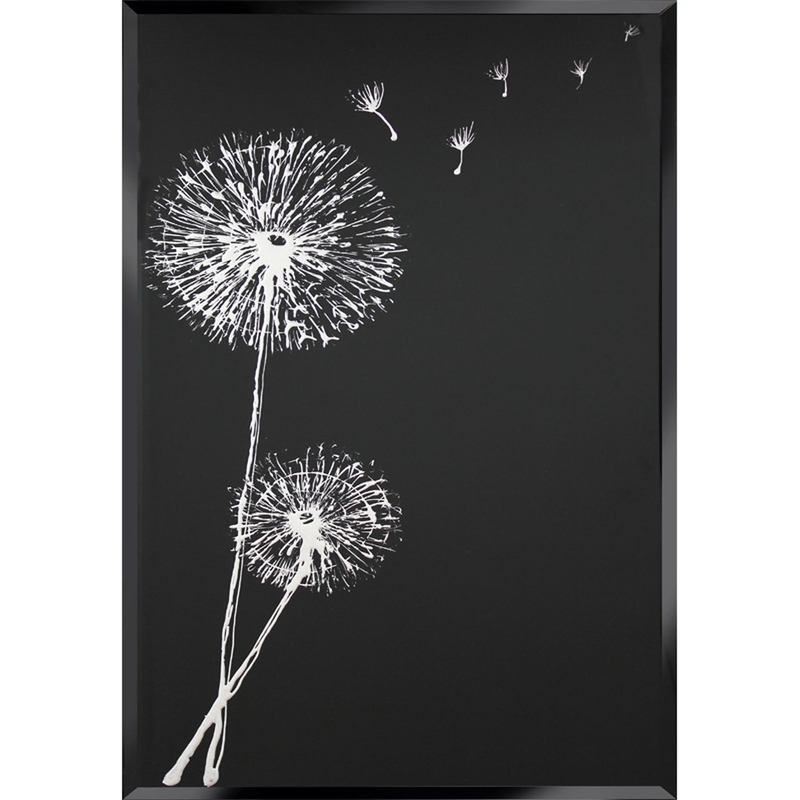 This piece features a mirror with a liquid glass dandelion in white, a simplistic but stylish piece that will definitely not fail to impress. Having a nature and floral style this design also appears as quite peaceful and natural. Designed and hand made in the UK, you wont be disappointed with your purchase. Custom sizes are available. For further information on pricing please contact our office on 01642 455589.